A new business networking event has taken Shrewsbury by storm, with over 150 business professionals attending Shropshire’s first-ever Bizfest. The brainchild of Rob Hughes, MD and founder of Reech Media, Bizfest was conceived as the antidote to traditionally dry and dull networking events. 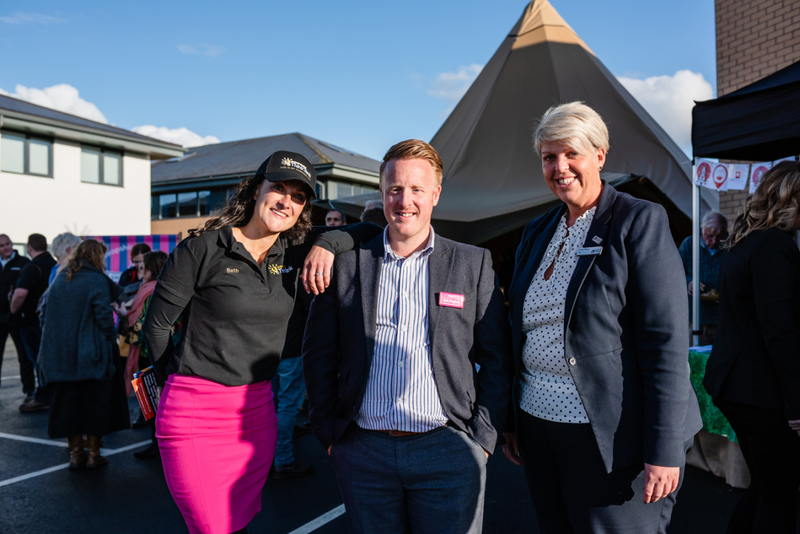 To deliver this exciting new concept in networking, Reech Media teamed up with Shropshire Festivals and Shropshire Chamber of Commerce to create Shropshire BizFest. With a modern and fresh outlook on a networking event, BizFest opened with a range of free seminars including the importance of Content & SEO, to The Power of a Good Brand and How to Make an Event a Success. As the more formal part of the afternoon closed, the festival began within a large festival tipi networking arena! Reech Media also took the opportunity to launch its exciting new suite of digital managed services – a range of ‘all-inclusive’ website requirements. Other highlights from the event included live music from local folk band Two Blank Pages, Japanese street food, drinks and sweet treats provided by local suppliers Planet Doughnut, SoFood, Gindifferent Bar and the Shropshire Ice Cream Company. Shropshire BizFest certainly went off without a hitch and exciting plans are already in place to make this an annual event, so watch this space – it’s the beginning of the new way to network!